You never know what dangers might be hiding beneath your children’s feet. 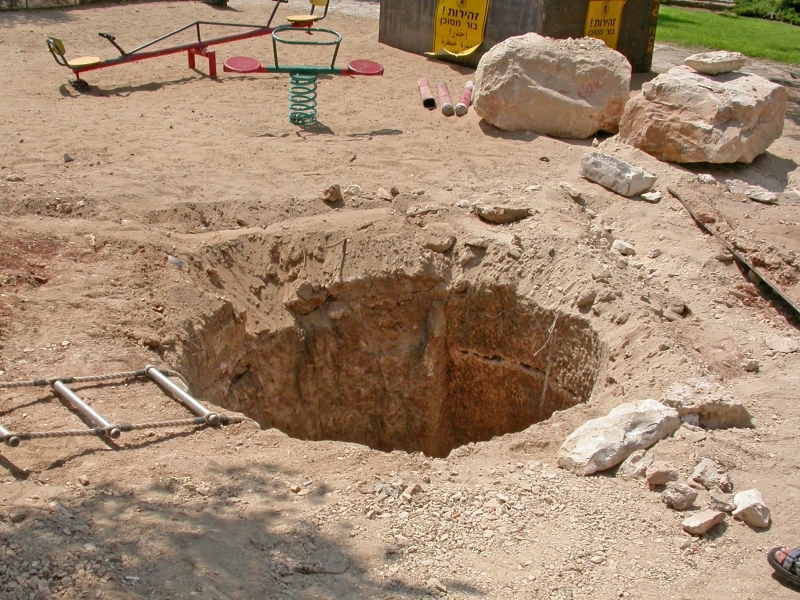 The enormous cistern lurking below a children’s playground in Jerusalem’s Katamon neighborhood was first discovered and explored in 2005. 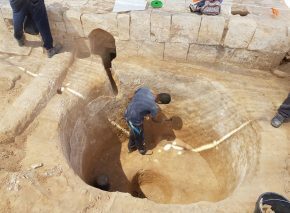 A team of Israel Antiquities Authority personnel dressed in wet-suits and equipped with scuba-diving equipment disappeared into what looked like nothing more than a man-hole to measure and map the underground reservoir, and after they emerged the entrance shaft was sealed up in the interests of public safety. 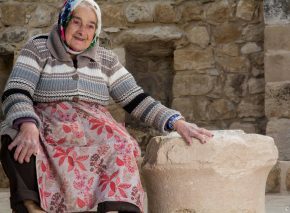 According to IAA archaeologist Dr. Yuval Baruch, the cistern dates from Byzantine days (the 6th century, fifteen hundred years ago) and was evidently connected to a nearby Byzantine site, today located in the basement of the Ramban synagogue in Amatsya Street. 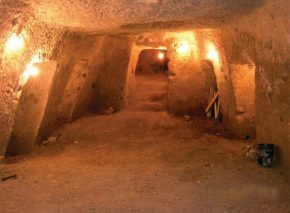 The size of the cistern is staggering – 34 meters long, it can hold a maximum volume of over 1100 cubic meters of water – more than enough to support what was probably a substantial farming estate. Now the Jerusalem Municipality is about to refurbish the playground. The planned upgrade includes further investigation of the cistern to ensure it poses no danger to the children and parents using the recreational equipment above it. Once again, researchers and surveyors donned wet-suits and snorkels to submerge, this time taking a rubber dinghy with them. 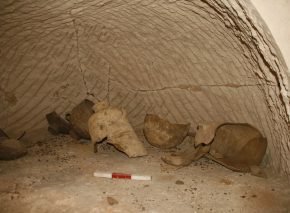 The results of their thorough examinations should give a final verdict on the site’s possibilities from both an engineering and an archaeological point of view. 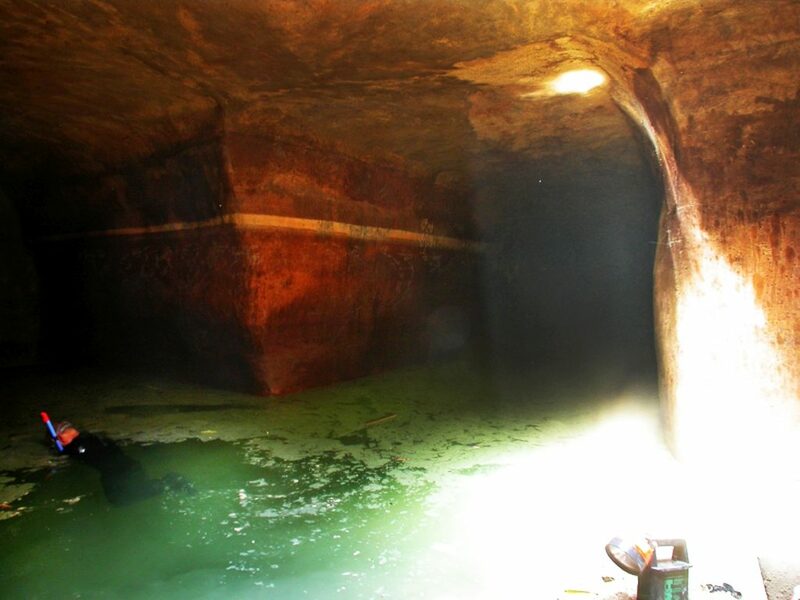 The municipality is considering making the watery depths accessible to the public as a tourist attraction, reminiscent of Ramla’s Pool of Arches or more famously impressive sites such as Istanbul’s Basilica Cistern.